To make compost rot rapidly you need to achieve a strong and lasting rise in temperature. Cold piles will eventually decompose and humus will eventually form but, without heat, the process can take a long, long time. Getting a pile to heat up promptly and stay hot requires the right mixture of materials and a sensible handling of the pile’s air and moisture supply. Compost piles come with some built-in obstacles. The intense heat and biological activity make a heap slump into an airless mass, yet if composting is to continue the pile must allow its living inhabitants sufficient air to breath. Hot piles tend to dry out rapidly, but must be kept moist or they stop working. But heat is desirable and watering cools a pile down. If understood and managed, these difficulties are really quite minor. Composting is usually an inoffensive activity, but if done incorrectly there can be problems with odor and flies. The main difference between composting in heaps and natural decomposition on the earth’s surface is temperature. On the forest floor, leaves leisurely decay and the primary agents of decomposition are soil animals. Bacteria and other microorganisms are secondary. In a compost pile the opposite occurs: we substitute a violent fermentation by microorganisms such as bacteria and fungi. Soil animals are secondary and come into play only after the microbes have had their hour. Under decent conditions, with a relatively unlimited food supply, bacteria, yeasts, and fungi can double their numbers every twenty to thirty minutes, increasing geometrically: 1, 2, 4, 8, 16, 32, 64, 128, 256, 512, 1,024, 2,048, 4,096, etc. In only four hours one cell multiplies to over four thousand. In three more hours there will be two million. For food, they consume the compost heap. Almost all oxygen-breathing organisms make energy by “burning” some form of organic matter as fuel much like gasoline powers an automobile. This cellular burning does not happen violently with flame and light. Living things use enzymes to break complex organic molecules down into simpler ones like sugar (and others) and then enzymatically unite these with oxygen. But as gentle as enzymatic combustion may seem, it still is burning. Microbes can “burn” starches, cellulose, lignin, proteins, and fats, as well as sugars. No engine is one hundred percent efficient. All motors give off waste heat as they run. Similarly, no plant or animal is capable of using every bit of energy released from their food, and consequently radiate heat. When working hard, living things give off more heat; when resting, less. The ebb and flow of heat production matches their oxygen consumption, and matches their physical and metabolic activities, and growth rates. Even single-celled animals like bacteria and fungi breathe oxygen and give off heat. Soil animals and microorganisms working over the thin layer of leaf litter on the forest floor also generate heat but it dissipates without making any perceptible increase in temperature. However, compostable materials do not transfer heat readily. In the language of architecture and home building they might be said to have a high “R” value or to be good insulators. When a large quantity of decomposing materials are heaped up, biological heat is trapped within the pile and temperature increases, further accelerating the rate of decomposition. Temperature controls how rapidly living things carry out their activities. Only birds and mammals are warm blooded-capable of holding the rate of their metabolic chemistry constant by holding their body temperature steady. Most animals and all microorganisms have no ability to regulate their internal temperature; when they are cold they are sluggish, when warm, active. Driven by cold-blooded soil animals and microorganisms, the hotter the compost pile gets the faster it is consumed. This relationship between temperature and the speed of biological activity also holds true for organic chemical reactions in a test-tube, the shelf-life of garden seed, the time it takes seed to germinate and the storage of food in the refrigerator. At the temperature of frozen water most living chemical processes come to a halt or close to it. That is why freezing prevents food from going through those normal enzymatic decomposition stages we call spoiling. By the time that temperature has increased to about 50 degree F, the chemistry of most living things is beginning to operate efficiently. From that temperature the speed of organic chemical reactions then approximately doubles with each 20 degree increase of temperature. So, at 70 degree F decomposition is running at twice the rate it does at 50 degree, while at 90 degree four times as rapidly as at 50 degree and so on. However, when temperatures get to about 150 degree organic chemistry is not necessarily racing 32 times as fast as compared to 50 degree because many reactions engendered by living things decline in efficiency at temperatures much over 110 degree. This explanation is oversimplified and the numbers I have used to illustrate the process are slightly inaccurate, however the idea itself is substantially correct. You should understand that while inorganic chemical reactions accelerate with increases in temperature almost without limit, those processes conducted by living things usually have a much lower terminal temperature. Above some point, life stops. Even the most heat tolerant soil animals will die or exit a compost pile by the time the temperature exceeds 120 degree, leaving the material in the sole possession of microorganisms. Other types of decomposing organic matter can get even hotter. For example, haystacks commonly catch on fire because dry hay is such an excellent insulator. If the bales in the center of a large hay stack are just moist enough to encourage rapid bacterial decomposition, the heat generated may increase until dryer bales on the outside begin to smoke and then burn. Wise farmers make sure their hay is thoroughly dry before baling and stacking it. How hot the pile can get depends on how well the composter controls a number of factors. These are so important that they need to be considered in detail. Particle size. Microorganisms are not capable of chewing or mechanically attacking food. Their primary method of eating is to secrete digestive enzymes that break down and then dissolve organic matter. Some larger single-cell creatures can surround or envelop and then “swallow” tiny food particles. Once inside the cell this material is then attacked by similar digestive enzymes. Since digestive enzymes attack only outside surfaces, the greater the surface area the composting materials present the more rapidly microorganisms multiply to consume the food supply. And the more heat is created. As particle size decreases, the amount of surface area goes up just about as rapidly as the number series used a few paragraphs back to illustrate the multiplication of microorganisms. – build much higher temperatures. All desirable organisms of decomposition are oxygen breathers or “aerobes. There must be an adequate movement of air through the pile to supply their needs. If air supply is choked off, aerobic microorganisms die off and are replaced by anaerobic organisms. These do not run by burning carbohydrates, but derive energy from other kinds of chemical reactions not requiring oxygen. Anaerobic chemistry is slow and does not generate much heat, so a pile that suddenly cools off is giving a strong indication that the core may lack air. The primary waste products of aerobes are water and carbon dioxide gas—inoffensive substances. When most people think of putrefaction they are actually picturing decomposition by anaerobic bacteria. With insufficient oxygen, foul-smelling materials are created. Instead of humus being formed, black, tarlike substances develop that are much less useful in soil. Under airless conditions much nitrate is permanently lost. The odiferous wastes of anaerobes also includes hydrogen sulfide (smells like rotten eggs), as well as other toxic substances with very unpleasant qualities. Heaps built with significant amounts of coarse, strong, irregular materials tend to retain large pore spaces, encourage airflow and remain aerobic. Heat generated in the pile causes hot air in the pile’s center to rise and exit the pile by convection. This automatically draws in a supply of fresh, cool air. But heaps made exclusively of large particles not only present little surface area to microorganisms, they permit so much airflow that they are rapidly cooled. This is one reason that a wet firewood rick or a pile of damp wood chips does not heat up. At the opposite extreme, piles made of finely ground or soft, wet materials tend to compact, ending convective air exchanges and bringing aerobic decomposition to a halt. In the center of an airless heap, anaerobic organisms immediately take over. Composters use several strategies to maintain airflow. The most basic one is to blend an assortment of components so that coarse, stiff materials maintain a loose texture while soft, flexible stuff tends to partially fill in the spaces. However, even if the heap starts out fluffy enough to permit adequate airflow, as the materials decompose they soften and tend to slump together into an airless mass. Periodically turning the pile, tearing it apart with a fork and restacking it, will reestablish a looser texture and temporarily recharge the pore spaces with fresh air. Since the outer surfaces of a compost pile do not get hot, tend to completely dry out, and fail to decompose, turning the pile also rotates the unrotted skin to the core and then insulates it with more-decomposed material taken from the center of the original pile. A heap that has cooled because it has gone anaerobic can be quickly remedied by turning. Piles can also be constructed with a base layer of fine sticks, smaller tree prunings, and dry brushy material. This porous base tends to enhance the inflow of air from beneath the pile. One powerful aeration technique is to build the pile atop a low platform made of slats or strong hardware cloth. A dry pile is a cold pile. Microorganisms live in thin films of water that adhere to organic matter whereas fungi only grow in humid conditions; if the pile becomes dry, both bacteria and fungi die off. The upwelling of heated air exiting the pile tends to rapidly dehydrate the compost heap. It usually is necessary to periodically add water to a hot working heap. Unfortunately, remoistening a pile is not always simple. The nature of the materials tends to cause water to be shed and run off much like a thatched roof protects a cottage. Since piles tend to compact and dry out at the same time, when they are turned they can simultaneously be rehydrated. When I fork over a heap I take brief breaks and spray water over the new pile, layer by layer. Two or three such turnings and waterings will result in finished compost. The other extreme can also be an obstacle to efficient composting. Making a pile too wet can encourage soft materials to lose all mechanical strength, the pile immediately slumps into a chilled, airless mass. Having large quantities of water pass through a pile can also leach out vital nutrients that feed organisms of decomposition and later on, feed the garden itself. I cover my heaps with old plastic sheeting from November through March to protect them from Oregon’s rainy winter climate. Understanding how much moisture to put into a pile soon becomes an intuitive certainty. Beginners can gauge moisture content by squeezing a handful of material very hard. It should feel very damp but only a few drops of moisture should be extractable. Industrial composters, who can afford scientific guidance to optimize their activities, try to establish and maintain a laboratory-measured moisture content of 50 to 60 percent by weight. When building a pile, keep in mind that certain materials like fresh grass clippings and vegetable trimmings already contain close to 90 percent moisture while dry components such as sawdust and straw may contain only 10 percent and resist absorbing water at that. But, by thoroughly mixing wet and dry materials the overall moisture content will quickly equalize. It is much harder to keep a small object hot than a large one. That’s because the ratio of surface area to volume goes down as volume goes up. No matter how well other factors encourage thermophiles, it is still difficult to make a pile heat up that is less than three feet high and three feet in diameter. And a tiny pile like that one tends to heat only for a short time and then cool off rapidly. Larger piles tend to heat much faster and remain hot long enough to allow significant decomposition to occur. Most composters consider a four foot cube to be a minimum practical size. Industrial or municipal composters build windrows up to ten feet at the base, seven feet high, and as long as they want. However, even if you have unlimited material there is still a limit to the heap’s size and that limiting factor is air supply. The bigger the compost pile the harder it becomes to get oxygen into the center. Industrial composters may have power equipment that simultaneously turns and sprays water, mechanically oxygenating and remoistening a massive windrow every few days. Even poorly-financed municipal composting systems have tractors with scoop loaders to turn their piles frequently. At home the practical limit is probably a heap six or seven feet wide at the base, initially about five feet high (it will rapidly slump a foot or so once heating begins), and as long as one has material for. Though we might like to make our compost piles so large that maintaining sufficient airflow becomes the major problem we face, the home composter rarely has enough materials on hand to build a huge heap all at once. A single lawn mowing doesn’t supply that many clippings; my own kitchen compost bucket is larger and fills faster than anyone else’s I know of but still only amounts to a few gallons a week except during August when we’re making jam, canning vegetables, and juicing. Garden weeds are collected a wheelbarrow at a time. Leaves are seasonal. In the East the annual vegetable garden clean-up happens after the fall frost. So almost inevitably, you will be building a heap gradually. That’s probably why most garden books illustrate compost heaps as though they were layer cakes: a base layer of brush, twigs, and coarse stuff to allow air to enter, then alternating thin layers of grass clippings, leaves, weeds, garbage, grass, weeds, garbage, and a sprinkling of soil, repeated until the heap is five feet tall. It can take months to build a compost pile this way because heating and decomposition begin before the pile is finished and it sags as it is built. I recommend several practices when gradually forming a heap. Keep a large stack of dry, coarse vegetation next to a building pile. As kitchen garbage, grass clippings, fresh manure or other wet materials come available the can be covered with and mixed into this dry material. The wetter, greener items will rehydrate the dry vegetation and usually contain more nitrogen that balances out the higher carbon of dried grass, tall weeds, and hay. If building the heap has taken several months, the lower central area will probably be well on its way to becoming compost and much of the pile may have already dried out by the time it is fully formed. So the best time make the first turn and remoisten a long-building pile is right after it has been completed. Instead of picturing a layer cake, you will be better off comparing composting to making bread. Flour, yeast, water, molasses, sunflower seeds, and oil aren’t layered, they’re thoroughly blended and then kneaded and worked together so that the yeast can interact with the other materials and bring about a miraculous chemistry that we call dough. The compost process generally works best when the heap’s starting C/N is around 25:1. If sawdust, straw, or woody hay form the bulk of the pile, it is hard to bring the C/N down enough with just grass clippings and kitchen garbage. Heaps made essentially of high C/N materials need significant additions of the most potent manures and/or highly concentrated organic nitrogen sources like seed meals or slaughterhouse concentrates. The next chapter discusses the nature and properties of materials used for composting in great detail. Here’s a simple arithmetic problem that illustrates how to balance carbon to nitrogen. QUESTION: I have 100 pounds of straw with a C/N of 66:1, how much chicken manure (C/N of 8:1) do I have to add to bring the total to an average C/N of 25:1. ANSWER: There is 1 pound of nitrogen already in each 66 pounds of straw, so there are already about 1.5 pounds of N in 100 pounds of straw. 100 pounds of straw-compost at 25:1 would have about 4 pounds of nitrogen, so I need to add about 2.5 more pounds of N. Eight pounds of chicken manure contain 1 pound of N; 16 pounds have 2. So, if I add 32 pounds of chicken manure to 100 pounds of straw, I will have 132 pounds of material containing about 5.5 pounds of N, a C/N of 132:5.5 or about 24:1. It is far more sensible to learn from experience. Gauge the proportions of materials going into a heap by the result. If the pile gets really hot and stays that way for a few weeks before gradually cooling down then the C/N was more or less right. If, after several turnings and reheatings, the material has not thoroughly decomposed, then the initial C/N was probably too high. The words “thoroughly decomposed” mean here that there are no recognizable traces of the original materials in the heap and the compost is dark brown to black, crumbly, sweet smelling and most importantly, when worked into soil it provokes a marked growth response, similar to fertilizer. If the pile did not initially heat very much or the heating stage was very brief, then the pile probably lacked nitrogen. The solution for a nitrogen-deficient pile is to turn it, simultaneously blending in more nutrient-rich materials and probably a bit of water too. After a few piles have been made novice composters will begin to get the same feel for their materials as bakers have for their flour, shortening, and yeast. It is also possible to err on the opposite end of the scale and make a pile with too much nitrogen. This heap will heat very rapidly, become as hot as the microbial population can tolerate, lose moisture very quickly, and probably smell of ammonia, indicating that valuable fixed nitrogen is escaping into the atmosphere. When proteins decompose their nitrogen content is normally released as ammonia gas. Most people have smelled small piles of spring grass clippings doing this very thing. Ammonia is always created when proteins decompose in any heap at any C/N. But a properly made compost pile does not permit this valuable nitrogen source to escape. There are other bacteria commonly found in soil that uptake ammonia gas and change it to the nitrates that plants and soil life forms need to make other proteins. These nitrification microorganisms are extremely efficient at reasonable temperatures but cannot survive the extreme high temperatures that a really hot pile can achieve. They also live only in soil. That is why it is very important to ensure that about 10 percent of a compost pile is soil and to coat the outside of a pile with a frosting of rich earth that is kept damp. One other aspect of soil helps prevent ammonia loss. Clay is capable of attracting and temporarily holding on to ammonia until it is nitrified by microorganisms. Most soils contain significant amounts of clay. The widespread presence of clay and ammonia-fixing bacteria in all soils permits industrial farmers to inject gaseous ammonia directly into the earth where it is promptly and completely altered into nitrates. A very hot pile leaking ammonia may contain too little soil, but more likely it is also so hot that the nitrifying bacteria have been killed off. Escaping ammonia is not only an offensive nuisance, valuable fertility is being lost into the atmosphere. You can adopt a number of strategies to keep weather from chilling a compost pile. Wind both lowers temperature and dries out a pile, so if at all possible, make compost in a sheltered location. Heavy, cold rains can chill and waterlog a pile. Composting under a roof will also keep hot sun from baking moisture out of a pile in summer. Using bins or other compost structures can hold in heat that might otherwise be lost from the sides of unprotected heaps. It is much easier to maintain a high core temperature when the weather is warm. It may not be so easy to make hot compost heaps during a northern winter. So in some parts of the country I would not expect too much from a compost pile made from autumn cleanup. This stack of leaves and frost-bitten garden plants may have to await the spring thaw, then to be mixed with potent spring grass clippings and other nitrogenous materials in order to heat up and complete the composting process. What to do with kitchen garbage during winter in the frozen North makes an interesting problem and leads serious recyclers to take notice of vermicomposting. In southern regions the heap may be prevented from overheating by making it smaller or not as tall. Any compost is a “social good” if it conserves energy, saves space in landfills and returns some nutrients and organic matter to the soil, whether for lawns, ornamental plantings, or vegetable gardens. Compared to the fertilizer you would have purchased in its place, any homemade compost will be a financial gain unless you buy expensive motor-powered grinding equipment to produce only small quantities. Making compost is also a “personal good.” For a few hours a year, composting gets you outside with a manure fork in your hand, working up a sweat. You intentionally participate in a natural cycle: the endless rotation of carbon from air to organic matter in the form of plants, to animals, and finally all of it back into soil. You can observe the miraculous increase in plant and soil health that happens when you intensify and enrich that cycle of carbon on land under your control. So any compost is good compost. But will it be good fertilizer? Answering that question is a lot harder: it depends on so many factors. The growth response you’ll get from compost depends on what went into the heap, on how much nitrate nitrogen was lost as ammonia during decomposition, on how completely decomposition was allowed to proceed, and how much nitrate nitrogen was created by microbes during ripening. The growth response from compost also depends on the soil’s temperature. Just like every other biological process, the nutrients in compost only GROW the plant when they decompose in the soil and are released. Where summer is hot, where the average of day and night temperatures are high, where soil temperatures reach 80 degree for much of the frost-free season, organic matter rots really fast and a little compost of average quality makes a huge increase in plant growth. Where summer is cool and soil organic matter decomposes slowly, poorer grades of compost have little immediate effect, or worse, may temporarily interfere with plant growth. Hotter soils are probably more desperate for organic matter and may give you a marked growth response from even poor quality compost; soils in cool climates naturally contain higher quantities of humus and need to be stoked with more potent materials if high levels of nutrients are to be released. One of the things I enjoy most while gardening is GROWing some of my plants. I don’t GROW them all because there is no point in having giant parsley or making the corn patch get one foot taller. Making everything get as large as possible wouldn’t result in maximum nutrition either. But just for fun, how about a 100-plus-pound pumpkin? A twenty-pound savoy cabbage? A cauliflower sixteen inches in diameter? An eight-inch diameter beet? Now that’s GROWing! Here’s how. Simply remove as many growth limiters as possible and watch the plant’s own efforts take over. One of the best examples I’ve ever seen of how this works was in a neighbor’s backyard greenhouse. This retired welder liked his liquor. Having more time than money and little respect for legal absurdities, he had constructed a small stainless steel pot still, fermented his own mash, and made a harsh, hangover-producing whiskey from grain and cane sugar that Appalachians call “popskull.” To encourage rapid fermentation, his mashing barrel was kept in the warm greenhouse. The bubbling brew gave off large quantities of carbon dioxide gas. The rest of his greenhouse was filled with green herbs that flowered fragrantly in September. Most of them were four or five feet tall but those plants on the end housing the mash barrel were seven feet tall and twice as bushy. Why? Because the normal level of atmospheric CO2 actually limits plant growth. We can’t increase the carbon supply outdoors. But we can loosen the soil eighteen to twenty-four inches down (or more for deeply-rooting species) in an area as large as the plant’s root system could possibly ramify during its entire growing season. I’ve seen some GROWers dig holes four feet deep and five feet in diameter for individual plants. We can use well-finished, strong compost to increase the humus content of that soil, and supplement that with manure tea or liquid fertilizer to provide all the nutrients the plant could possibly use. We can allocate only one plant to that space and make sure absolutely no competition develops in that space for light, water, or nutrients. We can keep the soil moist at all times. By locating the plant against a reflective white wall we can increase its light levels and perhaps the nighttime temperatures (plants make food during the day and use it to grow with at night). Textural improvements from compost depend greatly on soil type. Sandy and loamy soils naturally remain open and workable and sustain good tilth with surprisingly small amounts of organic matter. Two or three hundred pounds (dry weight) of compost per thousand square feet per year will keep coarse-textured soils in wonderful physical condition. This small amount of humus is also sufficient to encourage the development of a lush soil ecology that creates the natural health of plants. Silty soils, especially ones with more clay content, tend to become compacted and when low in humus will crust over and puddle when it rains hard. These may need a little more compost, perhaps in the range of three to five hundred pounds per thousand square feet per year. Clay soils on the other hand are heavy and airless, easily compacted, hard to work, and hard to keep workable. The mechanical properties of clay soils greatly benefit from additions of organic matter several times larger than what soils composed of larger particles need. Given adequate organic matter, even a heavy clay can be made to behave somewhat like a rich loam does. Perhaps you’ve noticed that I’ve still avoided answering the question, “how good is your compost?” First, lets take a look at laboratory analyses of various kinds of compost, connect that to what they were made from and that to the kind of growing results one might get from them. I apologize that despite considerable research I was unable to discover more detailed breakdowns from more composting activities. But the data I do have is sufficient to appreciate the range of possibilities. Considered as a fertilizer to GROW plants, Municipal Solid Waste (MSW) compost is the lowest grade material I know of. It is usually broadcast as a surface mulch. The ingredients municipal composters must process include an indiscriminate mixture of all sorts of urban organic waste: paper, kitchen garbage, leaves, chipped tree trimmings, commercial organic garbage like restaurant waste, cannery wastes, etc. Unfortunately, paper comprises the largest single ingredient and it is by nature highly resistant to decomposition. MSW composting is essentially a recycling process, so no soil, no manure and no special low C/N sources are used to improve the fertilizing value of the finished product. Municipal composting schemes usually must process huge volumes of material on very valuable land close to cities. Economics mean the heaps are made as large as possible, run as fast as possible, and gotten off the field without concern for developing their highest qualities. Since it takes a long time to reduce large proportions of carbon, especially when they are in very decomposition-resistant forms like paper, and since the use of soil in the compost heap is essential to prevent nitrate loss, municipal composts tend to be low in nitrogen and high in carbon. By comparison, the poorest home garden compost I could find test results for was about equal to the best municipal compost. The best garden sample (“B”) is pretty fine stuff. I could not discover the ingredients that went into either garden compost but my supposition is that gardener “A” incorporated large quantities of high C/N materials like straw, sawdust and the like while gardener “B” used manure, fresh vegetation, grass clippings and other similar low C/N materials. Gainsville, FL refuse 0.57 0.26 0.22 1.88 ? To interpret this chart, let’s make as our standard of comparison the actual gardening results from some very potent organic material I and probably many of my readers have probably used: bagged chicken manure compost. The most potent I’ve ever purchased is inexpensively sold in one-cubic-foot plastic sacks stacked up in front of my local supermarket every spring. The sacks are labeled 4-3-2. I’ve successfully grown quite a few huge, handsome, and healthy vegetables with this product. I’ve also tried other similar sorts also labeled “chicken manure compost” that are about half as potent. From many years of successful use I know that 15 to 20 sacks (about 300-400 dry-weight pounds) of 4-3-2 chicken compost spread and tilled into one thousand square feet will grow a magnificent garden. Most certainly a similar amount of the high analysis Garden “B” compost would do about the same job. Would three times as much less potent compost from Garden “A” or five times as much even poorer stuff from the Johnson City municipal composting operation do as well? Not at all! Neither would three times as many sacks of dried steer manure. Here’s why. If composted organic matter is spread like mulch atop the ground on lawns or around ornamentals and allowed to remain there its nitrogen content and C/N are not especially important. Even if the C/N is still high soil animals will continue the job of decomposition much as happens on the forest floor. Eventually their excrement will be transported into the soil by earthworms. By that time the C/N will equal that of other soil humus and no disruption will occur to the soil’s process. Growing vegetables is much more demanding than growing most perennial ornamentals or lawns. Excuse me, flower gardeners, but I’ve observed that even most flowers will thrive if only slight improvements are made in their soil. The same is true for most herbs. 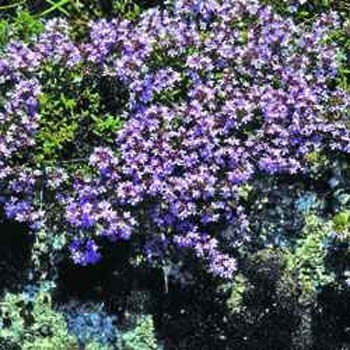 Difficulties with ornamentals or herbs are usually caused by attempting to grow a species that is not particularly well-adapted to the site or climate. Fertilized with sacked steer manure or mulched with average-to-poor compost, most ornamentals will grow adequately. But vegetables are delicate, pampered critters that must grow as rapidly as they can grow if they are to be succulent, tasty, and yield heavily. Most of them demand very high levels of available nutrients as well as soft, friable soil containing reasonable levels of organic matter. So it is extremely important that a vegetable gardener understand the inevitable disruption occurring when organic matter that has a C/N is much above 12:1 is tilled into soil. When organic material with a C/N below 12:1 is mixed into soil its breakdown is very rapid. Because it contains more nitrogen than stable humus does, nitrogen is rapidly released to feed the plants and soil life. Along with nitrogen comes other plant nutrients. This accelerated nitrification continues until the remaining nitrogen balances with the remaining carbon at a ratio of about 12:1. Then the soil returns to equilibrium. The lower the C/N the more rapid the release, and the more violent the reaction in the soil. Most low C/N organic materials, like seed meal or chicken manure, rapidly release nutrients for a month or two before stabilizing. What has been described here is fertilizer. When organic material with a C/N higher than 12:1 is tilled into soil, soil animals and microorganisms find themselves with an unsurpassed carbohydrate banquet. Just as in a compost heap, within days bacteria and fungi can multiply to match any food supply. But to construct their bodies these microorganisms need the same nutrients that plants need to grow—nitrogen, potassium, phosphorus, calcium, magnesium, etc. There are never enough of these nutrients in high C/N organic matter to match the needs of soil bacteria, especially never enough nitrogen, so soil microorganisms uptake these nutrients from the soil’s reserves while they “bloom” and rapidly consume all the new carbon presented to them. During this period of rapid decomposition the soil is thoroughly robbed of plant nutrients. And nitrification stops. Initially, a great deal of carbon dioxide gas may be given off, as carbon is metabolically “burned.” However, CO2 in high concentrations can be toxic to sprouting seeds and consequently, germination failures may occur. When I was in the seed business I’d get a few complaints every year from irate gardeners demanding to know why every seed packet they sowed failed to come up well. There were two usual causes. Either before sowing all the seeds were exposed to temperatures above 110 degree or more likely, a large quantity of high C/N “manure” was tilled into the garden just before sowing. In soil so disturbed transplants may also fail to grow for awhile. If the “manure” contains a large quantity of sawdust the soil will seem very infertile for a month or three. Sir Albert Howard had a unique and pithy way of expressing this reality. He said that soil was not capable of working two jobs at once. You could not expect it to nitrify humus while it was also being required to digest organic matter. That’s one reason he thought composting was such a valuable process. The digestion of organic matter proceeds outside the soil; when finished product, humus, is ready for nitrification, it is tilled in. Rapid consumption of carbon continues until the C/N of the new material drops to the range of stable humus. Then decay microorganisms die off and the nutrients they hoarded are released back into the soil. How long the soil remains inhospitable to plant growth and seed germination depends on soil temperature, the amount of the material and how high its C/N is, and the amount of nutrients the soil is holding in reserve. The warmer and more fertile the soil was before the addition of high C/N organic matter, the faster it will decompose. Judging by the compost analyses in the table, I can see why some municipalities are having difficulty disposing of the solid waste compost they are making. One governmental composting operation that does succeed in selling everything they can produce is Lane County, Oregon. Their yard waste compost is eagerly paid for by local gardeners. Lane County compost is made only from autumn leaves, grass clippings, and other yard wastes. No paper! Yard waste compost is a product much like a homeowner would produce. And yard waste compost contains no industrial waste or any material that might pose health threats. All woody materials are finely chipped before composting and comprise no more than 20 percent of the total undecayed mass by weight. Although no nutrient analysis has been done by the county other than testing for pH (around 7.0) and, because of the use of weed and feed fertilizers on lawns, for 2-4D (no residual trace ever found present), I estimate that the overall C/N of the materials going into the windrows at 25:1. I wouldn’t be surprised if the finished compost has a C/N close to 12:1. Incidentally, Lane County understands that many gardeners don’t have pickup trucks. They reasonably offer to deliver their compost for a small fee if at least one yard is purchased. Other local governments also make and deliver yard waste compost. So what about your own home compost? If you are a flower, ornamental, or lawn grower, you have nothing to worry about. Just compost everything you have available and use all you wish to make. If tilling your compost into soil seems to slow the growth of plants, then mulch with it and avoid tilling it in, or adjust the C/N down by adding fertilizers like seed meal when tilling it in. If you are a vegetable gardener and your compost doesn’t seem to provoke the kind of growth response you hoped for, either shallowly till in compost in the fall for next year’s planting, by which time it will have become stable humus, or read further. The second half of this book contains numerous hints about how to make potent compost and about how to use complete organic fertilizers in combination with compost to grow the lushest garden imaginable. Managing living systems usually goes better when our methods imitate nature’s. Here’s an example of what happens when we don’t. People who keep tropical fish in home aquariums are informed that to avoid numerous fish diseases they must maintain sterile conditions. Whenever the fish become ill or begin dying, the hobbyist is advised to put antibiotics or mild antiseptics into the tank, killing off most forms of microlife. But nature is not sterile. Nature is healthy. Like many an apartment dweller, in my twenties I raised tropical fish and grew house plants just to have some life around. The plants did fine; I guess I’ve always had a green thumb. But growing tired of dying fish and bacterial blooms clouding the water, I reasoned that none of the fish I had seen in nature were diseased and their water was usually quite clear. Perhaps the problem was that my aquarium had an overly simplified ecology and my fish were being fed processed, dead food when in nature the ecology was highly complex and the fish were eating living things. So I bravely attempted the most radical thing I could think of; I went to the country, found a small pond and from it brought home a quart of bottom muck and pond water that I dumped into my own aquarium. Instead of introducing countless diseases and wiping out my fish, I actually had introduced countless living things that began multiplying rapidly. The water soon became crystal clear. Soon the fish were refusing to eat the scientifically formulated food flakes I was supplying. The profuse variety of little critters now living in the tank’s gravel ate it instead. The fish ate the critters and became perfectly healthy. When the snails I had introduced with the pond mud became so numerous that they covered the glass and began to obscure my view, I’d crush a bunch of them against the wall of the aquarium and the fish would gorge on fresh snail meat. The angelfish and guppies especially began to look forward to my snail massacres and would cluster around my hand when I put it into the tank. On a diet of living things in a natural ecology even very difficult species began breeding. Organic and biological farmers consider modern “scientific” farming practices to be a similar situation. Instead of imitating nature’s complex stability, industrial farmers use force, attempting to bend an unnaturally simplified ecosystem to their will. As a result, most agricultural districts are losing soil at a non-sustainable rate and produce food of lowered nutritional content, resulting in decreasing health for all the life forms eating the production of our farms. Including us. I am well aware that these condemnations may sound quite radical to some readers. In a post this brief I cannot offer adequate support for my concerns about soil fertility and the nation’s health. I especially recommend the works of William Albrecht, Weston Price, Sir Robert McCarrison, and Sir Albert Howard. Before we ask how to compost, since nature is maximally efficient perhaps it would benefit us to first examine how nature goes about returning organic matter to the soil from whence it came. If we do nearly as well, we can be proud. Where nature is allowed to operate without human intervention, each place develops a stable level of biomass that is inevitably the highest amount of organic life that site could support. Whether deciduous forest, coniferous forest, prairie, even desert, nature makes the most of the available resources and raises the living drama to its most intense and complex peak possible. There will be as many mammals as there can be, as many insects, as many worms, as many plants growing as large as they can get, as much organic matter in all stages of decomposition and the maximum amount of relatively stable humus in the soil. All these forms of living and decomposing organisms are linked in one complex system; each part so closely connected to all the others that should one be lessened or increased, all the others change as well. The efficient decomposition of leaves on a forest floor is a fine example of what we might hope to achieve in a compost pile. Under the shade of the trees and mulched thickly by leaves, the forest floor usually stays moist. Although the leaves tend to mat where they contact the soil, the wet, somewhat compacted layer is thin enough to permit air to be in contact with all of the materials and to enter the soil. Living in this very top layer of fluffy, crumbly, moist soil mixed with leaf material and humus, are the animals that begin the process of humification. Many of these primary decomposers are larger, insect-like animals commonly known to gardeners, including the wood lice that we call pill bugs because they roll up defensively into hard armadillo-like shells, and the highly intrusive earwigs my daughter calls pinch bugs. There are also numerous types of insect larvae busily at work. A person could spend their entire life trying to understand the ecology of a single handful of humus-rich topsoil. For a century now, numerous soil biologists have been doing just that and still the job is not finished. Since gardeners, much less ordinary people, are rarely interested in observing and naming the tiny animals of the soil, especially are we disinterested in those who do no damage to our crops, soil animals are usually delineated only by Latin scientific names. The variations with which soil animals live, eat, digest, reproduce, attack, and defend themselves fills whole sections of academic science libraries. During the writing of this book I became quite immersed in this subject and read far more deeply into soil biology and microbiology than I thought I ever would. Even though this area of knowledge has amused me, I doubt it will entertain most of you. If it does, I recommend that you first consult specialist source materials listed in the bibliography for an introduction to a huge universe of literature. I will not make you yawn by mentioning long, unfamiliar Latin names. I will not astonish you with descriptions of complex reproductive methods and beautiful survival strategies. Gardeners do not really need this information. But managing the earth so that soil animals are helped and not destroyed is essential to good gardening. And there are a few qualities of soil animals that are found in almost all of them. If we are aware of the general characteristics of soil animals we can evaluate our composting and gardening practices by their effect on these minuscule creatures. Compared to the atmosphere, soil is a place where temperature fluctuations are small and slow. Consequently, soil animals are generally intolerant to sudden temperature changes and may not function well over a very wide range. That’s why leaving bare earth exposed to the hot summer sun often retards plant growth and why many thoughtful gardeners either put down a thin mulch in summer or try to rapidly establish a cooling leaf canopy to shade raised beds. Except for a few microorganisms, soil animals breathe oxygen just like other living things and so are dependent on an adequate air supply. Where soil is airless due to compaction, poor drainage, or large proportions of very fine clay, soil animals are few in number. The soil environment is generally quite moist; even when the soil seems a little dryish the relative humidity of the soil air usually approaches 100 percent. Soil animals consequently have not developed the ability to conserve their body moisture and are speedily killed by dry conditions. When faced with desiccation they retreat deeper into the soil if there is oxygen and pore spaces large enough to move about. So we see another reason why a thin mulch that preserves surface moisture can greatly increase the beneficial population of soil animals. Some single-cell animals and roundworms are capable of surviving stress by encysting themselves, forming a little “seed” that preserves their genetic material and enough food to reactivate it, coming back to life when conditions improve. These cysts may endure long periods of severe freezing and sometimes temperatures of over 150 degree F.
Inhabitants of leaf litter reside close to the surface and so must be able to experience exposure to dryer air and light for short times without damage. The larger litter livers are called primary decomposers. They spend most of their time chewing on the thick reserve of moist leaves contacting the forest floor. Primary decomposers are unable to digest the entire leaf. They extract only the easily assimilable substances from their food: proteins, sugars and other simple carbohydrates and fats. Cellulose and lignin are the two substances that make up the hard, permanent, and woody parts of plants; these materials cannot be digested by most soil animals. Interestingly, just like in a cow’s rumen, there are a few larvae whose digestive tract contains cellulose-decomposing bacteria but these larvae have little overall effect. After the primary consumers are finished the leaves have been mechanically disintegrated and thoroughly moistened, worked over, chewed to tiny pieces and converted into minuscule bits of moist excrement still containing active digestive enzymes. Many of the bacteria and fungi that were present on the leaf surfaces have passed through this initial digestion process alive or as spores waiting and ready to activate. In this sense, the excrement of the primary decomposers is not very different than manure from large vegetarian mammals like cows and sheep although it is in much smaller pieces. Digestive wastes of primary decomposers are thoroughly inoculated with microorganisms that can consume cellulose and lignin. Even though it looks like humus, it has not yet fully decomposed. It does have a water-retentive, granular structure that facilitates the presence of air and moisture throughout the mass creating perfect conditions for microbial digestion to proceed. This excrement is also the food for a diverse group of nearly microscopic soil animals called secondary decomposers. These are incapable of eating anything that has not already been predigested by the primary decomposers. The combination of microbes and the digestive enzymes of the primary and secondary decomposers breaks down resistant cellulose and to some degree, even lignins. The result is a considerable amount of secondary decomposition excrement having a much finer crumb structure than what was left by the primary decomposers. It is closer to being humus but is still not quite finished. Now comes the final stage in humus formation. Numerous species of earthworms eat their way through the soil, taking in a mixture of earth, microbes, and the excrement of soil animals. All of these substances are mixed together, ground-up, and chemically recombined in the worm’s highly active and acidic gut. Organic substances chemically unite with soil to form clay/humus complexes that are quite resistant to further decomposition and have an extraordinarily high ability to hold and release the very nutrients and water that feed plants. Earthworm casts (excrement) are mechanically very stable and help create a durable soil structure that remains open and friable, something gardeners and farmers call good tilth or good crumb. Earthworms are so vitally important to soil fertility and additionally useful as agents of compost making. Let’s underline a composting lesson to be drawn from the forest floor. In nature, humus formation goes on in the presence of air and moisture. The agents of its formation are soil animals ranging in complexity from microorganisms through insects working together in a complex ecology. These same organisms work our compost piles and help us change crude vegetation into humus or something close to humus. So, when we make compost we need to make sure that there is sufficient air and moisture. Decomposition is actually a process of repeated digestions as organic matter passes and repasses through the intestinal tracts of soil animals numerous times or is attacked by the digestive enzymes secreted by microorganisms. At each stage the vegetation and decomposition products of that vegetation are thoroughly mixed with animal digestive enzymes. Soil biologists have observed that where soil conditions are hostile to soil animals, such as in compacted fine clay soils that exclude air, organic matter is decomposed exclusively by microorganisms. Under those conditions virtually no decomposition-resistant humus/clay complexes form; almost everything is consumed by the bacterial community as fuel. And the non-productive soil is virtually devoid of organic matter. Sir Albert Howard has been called the ‘father of modern composting.’ His first composting book (1931) The Waste Products of Agriculture, stressed the vital importance of animal digestive enzymes from fresh cow manure in making compost. When he experimented with making compost without manure the results were less than ideal. Most gardeners cannot obtain fresh manure but fortunately soil animals will supply similar digestive enzymes. Later on when we review Howard’s Indore composting method we will see how brilliantly Sir Albert understood natural decomposition and mimicked it in a composting method that resulted in a very superior product. At this point I suggest another definition for humus. Humus is the excrement of soil animals, primarily earthworms, but including that of some other species that, like earthworms, are capable of combining partially decomposed organic matter and the excrement of other soil animals with clay to create stable soil crumbs resistant to further decomposition or consumption. Some types of leaves rot much faster on the forest floor than others. Analyzing why this happens reveals a great deal about how to make compost piles decompose more effectively. Leaves from leguminous (in the same botanical family as beans and peas) trees such as acacia, carob, and alder usually become humus within a year. So do some others like ash, cherry, and elm. More resistant types take two years; these include oak, birch, beech, and maple. Poplar leaves, and pine, Douglas fir, and larch needles are very slow to decompose and may take three years or longer. Some of these differences are due to variations in lignin content which is highly resistant to decomposition, but speed of decomposition is mainly influenced by the amount of protein and mineral nutrients contained in the leaf. Plants are composed mainly of carbohydrates like cellulose, sugar, and lignin. The element carbon is by far the greater part of carbohydrates [carbo(n)hydr(ogen)ates] by weight. Plants can readily manufacture carbohydrates in large quantities because carbon and hydrogen are derived from air (C02) and water (H2O), both substances being available to plants in almost unlimited quantities. Sugar, manufactured by photosynthesis, is the simplest and most vital carbohydrate. Sugar is “burned” in all plant cells as the primary fuel powering all living activities. Extra sugar can be more compactly stored after being converted into starches, which are long strings of sugar molecules linked together. Plants often have starch-filled stems, roots, or tubers; they also make enzymes capable of quickly converting this starch back into sugar upon demand. We home-brewers and bakers make practical use of a similar enzyme process to change starches stored in grains back to sugar that yeasts can change into alcohol. Sometimes plants store food in the form of oil, the most concentrated biological energy source. Oil is also constructed from sugar and is usually found in seeds. Plants also build structural materials like stem, cell walls, and other woody parts from sugars converted into cellulose, a substance similar to starch. Very strong structures are constructed with lignins, a material like cellulose but much more durable. Cellulose and lignins are permanent. They cannot be converted back into sugar by plant enzymes. Nor can most animals or bacteria digest them. Certain fungi can digest cellulose and lignin, as can the symbiotic bacteria inhabiting a cow’s rumen. In this respect the cow is a very clever animal running a cellulose digestion factory in the first and largest of its several stomachs. There, it cultures bacteria that eat cellulose; then the cow digests the bacteria as they pass out of one stomach and into another. Plants also construct proteins, the vital stuff of life itself. Proteins are mainly found in those parts of the plant involved with reproduction and photosynthesis. Protein molecules differ from starches and sugars in that they are larger and amazingly more complex. Most significantly, while carbohydrates are mainly carbon and hydrogen, proteins contain large amounts of nitrogen and numerous other mineral nutrients. Proteins are scarce in nature. Plants can make them only in proportion to the amount of the nutrient, nitrogen, that they take up from the soil. Most soils are very poorly endowed with nitrogen. If nitrate-poor, nutrient-poor soil is well-watered there may be lush vegetation but the plants will contain little protein and can support few animals. But where there are high levels of nutrients in the soil there will be large numbers of animals, even if the land is poorly watered and grows only scrubby grasses—verdant forests usually feed only a few shy deer while the short grass semi-desert prairies once supported huge herds of grazing animals. Nitrogen gas strongly resists combining with other elements. Chemical factories fix nitrogen only at very high temperatures and pressures and in the presence of exotic catalysts like platinum or by exposing nitrogen gas to powerful electric sparks. Lightning flashes can similarly fix small amounts of nitrogen that fall to earth dissolved in rain. And certain soil-dwelling microorganisms are able to fix atmospheric nitrogen. But these are abundant only where the earth is rich in humus and minerals, especially calcium. So in a soil body where large quantities of fixed nitrogen are naturally present, the soil will also be well-endowed with a good supply of mineral nutrients. Most of the world’s supply of combined nitrogen is biologically fixed at normal temperatures and standard atmospheric pressure by soil microorganisms. We call the ones that live freely in soil “azobacteria” and the ones that associate themselves with the roots of legumes “rhizobia.” Blue-green algae of the type that thrive in rice paddies also manufacture nitrate nitrogen. We really don’t know how bacteria accomplish this but the nitrogen they “fix” is the basis of most proteins on earth. All microorganisms, including nitrogen-fixing bacteria, build their bodies from the very same elements that plants use for growth. Where these mineral elements are abundant in soil, the entire soil body is more alive and carries much more biomass at all levels from bacteria through insects, plants, and even mammals. Should any of these vital nutrient substances be in short supply, all biomass and plant growth will decrease to the level permitted by the amount available, even though there is an overabundance of all the rest. The name for this phenomena is the “Law of Limiting Factors.” The concept of limits was first formulated by a scientist, Justus von Liebig, in the middle of the last century. Although Liebig’s name is not popular with organic gardeners and farmers because misconceptions of his ideas have led to the widespread use of chemical fertilizers, Liebig’s theory of limits is still good science. Liebig suggested imagining a barrel being filled with water as a metaphor for plant growth: the amount of water held in the barrel being the amount of growth. Each stave represents one of the factors or requirements plants need in order to grow such as light, water, oxygen, nitrogen, phosphorus, copper, boron, etc. Lowering any one stave of the barrel, no matter which one, lessens the amount of water that can be held and thus growth is reduced to the level of the most limited growth factor. For example, one essential plant protein is called chlorophyll, the green pigment found in leaves that makes sugar through photosynthesis. Chlorophyll is a protein containing significant amounts of magnesium. Obviously, the plant’s ability to grow is limited by its ability to find enough fixed nitrogen and also magnesium to make this protein. Animals of all sizes from elephants to single cell microorganisms are primarily composed of protein. But the greatest portion of plant material is not protein, it is carbohydrates in one form or another. Eating enough carbohydrates to supply their energy requirements is rarely the survival problem faced by animals; finding enough protein (and other vital nutrients) in their food supply to grow and reproduce is what limits their population. The numbers and health of grazing animals is limited by the protein and other nutrient content of the grasses they are eating, similarly the numbers and health of primary decomposers living on the forest floor is limited by the nutrient content of their food. And so is the rate of decomposition. And so too is this true in the compost pile. The protein content of vegetation is very similar to its ratio of carbon (C) compared to nitrogen (N). Quick laboratory analysis of protein content is not done by measuring actual protein itself but by measuring the amount of combined nitrogen the protein gives off while decomposing. Acacia, alder, and leaves of other proteinaceous legumes such as locust, mesquite, scotch broom, vetch, alfalfa, beans, and peas have low C/N ratios because legume roots uniquely can shelter clusters of nitrogen-fixing rhizobia. These microorganisms can supply all the nitrate nitrogen fast-growing legumes can use if the soil is also well endowed with other mineral nutrients rhizobia need, especially calcium and phosphorus. Most other plant families are entirely dependent on nitrate supplies presented to them by the soil. Consequently, those regions or locations with soils deficient in mineral nutrients tend to grow coniferous forests while richer soils support forests with more protein in their leaves. There may also be climatic conditions that favor conifers over deciduous trees, regardless of soil fertility. It is generally true that organic matter with a high ratio of carbon to nitrogen also will have a high ratio of carbon to other minerals. And low C/N materials will contain much larger amounts of other vital mineral nutrients. When we make compost from a wide variety of materials there are probably enough quantity and variety of nutrients in the plant residues to form large populations of humus-forming soil animals and microorganisms. However, when making compost primarily with high C/N stuff we need to blend in other substances containing sufficient fixed nitrogen and other vital nutrient minerals. Otherwise, the decomposition process will take a very long time because large numbers of decomposing organisms will not be able to develop. The composition of plant materials is very dependent on the level and nature of the soil fertility that produced them. The nutrition present in two plants of the same species, even in two samples of the exact same variety of vegetable raised from the same packet of seed can vary enormously depending on where the plants were grown. William Albrecht, chairman of the Soil Department at the University of Missouri during the 1930s, was, to the best of my knowledge, the first mainstream scientist to thoroughly explore the differences in the nutritional qualities of plants and to identify specific aspects of soil fertility as the reason why one plant can be much more nutritious than another and why animals can be so much healthier on one farm compared to another. By implication, Albrecht also meant to show the reason why one nation of people can be much less healthy than another. Because his holistic outlook ran counter to powerful vested interests of his era, Albrecht was professionally scorned and ultimately left the university community, spending the rest of his life educating the general public, especially farmers and health care professionals. Summarized in one paragraph, Albrecht showed that within a single species or variety, plant protein levels vary 25 percent or more depending on soil fertility, while a plant’s content of vital nutrients like calcium, magnesium, and phosphorus can simultaneously move up or down as much as 300 percent, usually corresponding to similar changes in its protein level. Albrecht also discovered how to manage soil in order to produce highly nutritious food. Chapter Eight has a lot more praise for Dr. Albrecht. There I explore this interesting aspect of gardening in more detail because how we make and use organic matter has a great deal to do with the resulting nutritional quality of the food we grow. Imagine trying to make compost from deficient materials such as a heap of pure, moist sawdust. What happens? Very little and very, very slowly. Trees locate most of their nutrient accumulation in their leaves to make protein for photosynthesis. A small amount goes into making bark. Wood itself is virtually pure cellulose, derived from air and water. If, when we farmed trees, we removed only the wood and left the leaves and bark on the site, we would be removing next to nothing from the soil. If the sawdust comes from a lumber mill, as opposed to a cabinet shop, it may also contain some bark and consequently small amounts of other essential nutrients. Thoroughly moistened and heaped up, a sawdust pile would not heat up, only a few primary decomposers would take up residence. A person could wait five years for compost to form from pure moist sawdust and still not much would happen. Perhaps that’s why the words “compost” and “compote” as the British mean it, are connected. In England, a compote is a slightly fermented mixture of many things like fruits. If we mixed the sawdust with other materials having a very low C/N, then it would decompose, along with the other items. Do you know what really happens when things rot? Have garden books confused you with vague meanings for words like “stabilized humus?” This post won’t. Are you afraid that compost making is a nasty, unpleasant, or difficult process? It isn’t. A compost pile is actually a fast-track method of changing crude organic materials into something resembling soil, called humus. But the word “humus” is often misunderstood, along with the words “compost,” and “organic matter.” And when fundamental ideas like these are not really defined in a person’s mind, the whole subject they are a part of may be confused. Compost making is a simple process. Done properly it becomes a natural part of your gardening or yard maintenance activities, as much so as mowing the lawn. And making compost does not have to take any more effort than bagging up yard waste. Handling well-made compost is always a pleasant experience. It is easy to disregard compost’s vulgar origins because there is no similarity between the good-smelling brown or black crumbly substance dug out of a compost pile and the manure, garbage, leaves, grass clippings and other waste products from which it began. Precisely defined, composting means ‘enhancing the consumption of crude organic matter by a complex ecology of biological decomposition organisms.’ As raw organic materials are eaten and re-eaten by many, many tiny organisms from bacteria (the smallest) to earthworms (the largest), their components are gradually altered and recombined. Gardeners often use the terms organic matter, compost, and humus as interchangeable identities. But there are important differences in meaning that need to be explained. This stuff, this organic matter we food gardeners are vitally concerned about, is formed by growing plants that manufacture the substances of life. Most organic molecules are very large, complex assemblies while inorganic materials are much simpler. Animals can break down, reassemble and destroy organic matter but they cannot create it. Only plants can make organic materials like cellulose, proteins, and sugars from inorganic minerals derived from soil, air or water. The elements plants build with include calcium, magnesium, potassium, phosphorus, sodium, sulfur, iron, zinc, cobalt, boron, manganese, molybdenum, carbon, nitrogen, oxygen, and hydrogen. So organic matter from both land and sea plants fuels the entire chain of life from worms to whales. Humans are most familiar with large animals; they rarely consider that the soil is also filled with animal life busily consuming organic matter or each other. Rich earth abounds with single cell organisms like bacteria, actinomycetes, fungi, protozoa, and rotifers. Soil life forms increase in complexity to microscopic round worms called nematodes, various kinds of mollusks like snails and slugs (many so tiny the gardener has no idea they are populating the soil), thousands of almost microscopic soil-dwelling members of the spider family that zoologists call arthropods, the insects in all their profusion and complexity, and, of course, certain larger soil animals most of us are familiar with such as moles. The entire sum of all this organic matter: living plants, decomposing plant materials, and all the animals, living or dead, large and small is sometimes called biomass. One realistic way to gauge the fertility of any particular soil body is to weigh the amount of biomass it sustains. Humus is a special and very important type of decomposed organic matter. Although scientists have been intently studying humus for a century or more, they still do not know its chemical formula. It is certain that humus does not have a single chemical structure, but is a very complex mixture of similar substances that vary according to the types of organic matter that decayed, and the environmental conditions and specific organisms that made the humus. Whatever its varied chemistry, all humus is brown or black, has a fine, crumbly texture, is very light-weight when dry, and smells like fresh earth. It is sponge-like, holding several times its weight in water. Like clay, humus attracts plant nutrients like a magnet so they aren’t so easily washed away by rain or irrigation. Then humus feeds nutrients back to plants. In the words of soil science, this functioning like a storage battery for minerals is called cation exchange capacity. More about that later. Most important, humus is the last stage in the decomposition of organic matter. Once organic matter has become humus it resists further decomposition. Humus rots slowly. When humus does get broken down by soil microbes it stops being organic matter and changes back to simple inorganic substances. This ultimate destruction of organic matter is often called nitrification because one of the main substances released is nitrate—that vital fertilizer that makes plants grow green and fast. Probably without realizing it, many non-gardeners have already scuffed up that thin layer of nearly pure humus forming naturally on the forest floor where leaves and needles contact the soil. Most Americans would be repelled by many of the substances that decompose into humus. But, fastidious as we tend to be, most would not be offended to barehandedly cradle a scoop of humus, raise it to the nose, and take an enjoyable sniff. There seems to be something built into the most primary nature of humans that likes humus. In nature, the formation of humus is a slow and constant process that does not occur in a single step. Plants grow, die and finally fall to earth where soil-dwelling organisms consume them and each other until eventually there remains no recognizable trace of the original plant. Only a small amount of humus is left, located close to the soil’s surface or carried to the depths by burrowing earthworms. Alternately, the growing plants are eaten by animals that do not live in the soil, whose manure falls to the ground where it comes into contact with soil-dwelling organisms that eat it and each other until there remains no recognizable trace of the original material. A small amount of humus is left. Composting artificially accelerates the decomposition of crude organic matter and its recombination into humus. What in nature might take years we can make happen in weeks or months. But compost that seems ready to work into soil may not have quite yet become humus. Though brown and crumbly and good-smelling and well decomposed, it may only have partially rotted. When tilled into soil at that point, compost doesn’t act at once like powerful fertilizer and won’t immediately contribute to plant growth until it has decomposed further. But if composting is allowed to proceed until virtually all of the organic matter has changed into humus, a great deal of biomass will be reduced to a relatively tiny remainder of a very valuable substance far more useful than chemical fertilizer. For thousands of years gardeners and farmers had few fertilizers other than animal manure and compost. These were always considered very valuable substances and a great deal of lore existed about using them. During the early part of this century, our focus changed to using chemicals; organic wastes were often considered nuisances with little value. These days we are rediscovering compost as an agent of soil improvement and also finding out that we must compost organic waste materials to recycle them in an ecologically sound manner. The closest analogies to composting I can imagine are concocting similar fermented products like bread, beer, or sauerkraut. But composting is much less demanding. Here I can speak with authority, for during my era of youthful indiscretions I made homebrews good enough have visitors around my kitchen table most every evening. Now, having reluctantly been instructed in moderation by a liver somewhat bruised from alcohol, I am the family baker who turns out two or three large, rye/wheat loaves from freshly ground grain every week without fail. Brew is dicey. Everything must be sterilized and the fermentation must go rapidly in a narrow range of temperatures. Should stray organisms find a home during fermentation, foul flavors and/or terrible hangovers may result. The wise homebrewer starts with the purest and best-suited strain of yeast a professional laboratory can supply. Making beer is a process suited to the precisionist mentality, it must be done just so. Fortunately, with each batch we use the same malt extracts, the same hops, same yeast, same flavorings and, if we are young and foolish, the same monosaccarides to boost the octane over six percent. But once the formula is found and the materials worked out, batch after batch comes out as desired. So it is with bread-making. The ingredients are standardized and repeatable. I can inexpensively buy several bushels of wheat- and rye-berries at one time, enough to last a year. Each sack from that purchase has the same baking qualities. The minor ingredients that modify my dough’s qualities or the bread’s flavors are also repeatable. My yeast is always the same; if I use sourdough starter, my individualized blend of wild yeasts remains the same from batch to batch and I soon learn its nature. My rising oven is always close to the same temperature; when baking I soon learn to adjust the oven temperature and baking time to produce the kind of crust and doneness I desire. Precisionist, yes. I must bake every batch identically if I want the breads to be uniformly good. But not impossibly rigorous because once I learn my materials and oven, I’ve got it down pat. Composting is similar, but different and easier. Similar in that decomposition is much like any other fermentation. Different in that the home composter rarely has exactly the same materials to work with from batch to batch, does not need to control the purity and nature of the organisms that will do the actual work of humus formation, and has a broad selection of materials that can go into a batch of compost. Easier because critical and fussy people don’t eat or drink compost, the soil does; soil and most plants will, within broad limits, happily tolerate wide variations in compost quality without complaint. Some composters are very fussy and much like fine bakers or skilled brewers, take great pains to produce a material exactly to their liking by using complex methods. Usually these are food gardeners with powerful concerns about health, the nutritional quality of the food they grow and the improved growth of their vegetables. However, there are numerous simpler, less rigorous ways of composting that produce a product nearly as good with much less work. These more basic methods will appeal to the less-committed backyard gardener or the homeowner with lawn, shrubs, and perhaps a few flower beds. 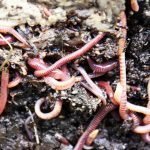 One unique method suited to handling kitchen garbage—vermicomposting (worms)—might appeal even to the ecologically concerned apartment dweller with a few house plants. I’ve been evolving a personally-adapted composting system for the past twenty years. I’ve gone through a number of methods. I’ve used and then abandoned power chipper/shredders, used home-made bins and then switched to crude heaps; I’ve sheet composted, mulched, and used green manure. I first made compost on a half-acre lot where maintaining a tidy appearance was a reasonable concern. Now, living in the country, I don’t have be concerned with what the neighbors think of my heaps because the nearest neighbor’s house is 800 feet from my compost area and I live in the country because I don’t much care to care what my neighbors think. That’s why I now compost so crudely. There are a lot of refinements I could use but don’t bother with at this time. I still get fine compost. What follows should be understood as a description of my unique, personal method adapted to my temperament and the climate I live in. I start this book off with such a simple example because I want you to see how completely easy it can be to make perfectly usable compost. I intend this description for inspiration, not emulation. I am a serious food gardener. Starting in spring I begin to accumulate large quantities of vegetation that demand handling. There are woody stumps and stalks of various members of the cabbage family that usually overwinter in western Oregon’s mild winters. These biennials go into bloom by April and at that point I pull them from the garden with a fair amount of soil adhering to the roots. These rough materials form the bottom layer of a new pile. Since the first principle of abundant living is to produce two or three times as much as you think you’ll need, my overly-large garden yields dozens and dozens of such stumps and still more dozens of uneaten savoy cabbages, more dozens of three foot tall Brussels sprouts stalks and cart loads of enormous blooming kale plants. At the same time, from our insulated but unheated garage comes buckets and boxes of sprouting potatoes and cart loads of moldy uneaten winter squashes. There may be a few crates of last fall’s withered apples as well. Sprouting potatoes, mildewed squash, and shriveled apples are spread atop the base of brassica stalks. I grow my own vegetable seed whenever possible, particularly for biennials such as brassicas, beets and endive. During summer these generate large quantities of compostable straw after the seed is thrashed. Usually there is a big dry bean patch that also produces a lot of straw. There are vegetable trimmings, and large quantities of plant material when old spring-sown beds are finished and the soil is replanted for fall harvest. With the first frost in October there is a huge amount of garden clean up. As each of these materials is acquired it is temporarily placed next to the heap awaiting the steady outpourings from our 2-1/2 gallon kitchen compost pail. Our household generates quite a bit of garbage, especially during high summer when we are canning or juicing our crops. But we have no flies or putrid garbage smells coming from the compost pile because as each bucketful is spread over the center of the pile the garbage is immediately covered by several inches of dried or wilted vegetation and a sprinkling of soil. By October the heap has become about six feet high, sixteen feet long and about seven feet wide at the base. I’ve made no attempt to water this pile as it was built, so it is quite dry and has hardly decomposed at all. Soon those winter rains that the Maritime northwest is famous for arrive. From mid-October through mid-April it drizzles almost every day and rains fairly hard on occasion. Some 45 inches of water fall. But the pile is loosely stacked with lots of air spaces within and much of the vegetation started the winter in a dry, mature form with a pretty hard “bark” or skin that resists decomposition. Winter days average in the high 40s, so little rotting occurs. Still, by next April most of the pile has become quite wet. Some garbagey parts of it have decomposed significantly, others not at all; most of it is still quite recognizable but much of the vegetation has a grayish coating of microorganisms or has begun to turn light brown. Now comes the only two really hard hours of compost-making effort each year. For a good part of one morning I turn the pile with a manure fork and shovel, constructing a new pile next to the old one. First I peel off the barely-rotted outer four or five inches from the old pile; this makes the base of the new one. Untangling the long stringy grasses, seed stalks, and Brussels sprout stems from the rest can make me sweat and even curse, but fortunately I must stop occasionally to spray water where the material remains dry and catch my wind. Then, I rearrange the rest so half-decomposed brassica stumps and other big chunks are placed in the center where the pile will become the hottest and decomposition will proceed most rapidly. As I reform the material, here and there I lightly sprinkle a bit of soil shoveled up from around the original pile. When I’ve finished turning it, the new heap is about five feet high, six feet across at the bottom, and about eight feet long. The outside is then covered with a thin layer of crumbly, black soil scraped up where the pile had originally stood before I turned it. Using hand tools for most kinds of garden work, like weeding, cultivating, tilling, and turning compost heaps is not as difficult or nearly as time consuming as most people think if one has the proper, sharp tools. Unfortunately, the knowledge of how to use hand tools has largely disappeared. No one has a farm-bred grandfather to show them how easy it is to use a sharp shovel or how impossibly hard it can be to drive a dull one into the soil. Similarly, weeding with a sharp hoe is effortless and fast. But most new hoes are sold without even a proper bevel ground into the blade, much less with an edge that has been carefully honed. So after working with dull shovels and hoes, many home food growers mistakenly conclude that cultivation is not possible without using a rotary tiller for both tillage and weeding between rows. But instead of an expensive gasoline-powered machine all they really needed was a little knowledge and a two dollar file. Similarly, turning compost can be an impossible, sweat-drenching, back-wrenching chore, or it can be relatively quick and easy. It is very difficult to drive even a very sharp shovel into a compost pile. One needs a hay fork, something most people call a “pitchfork.” The best type for this task has a very long, delicate handle and four, foot long, sharp, thin tines. Forks with more than four times grab too much material. If the heap has not rotted very thoroughly and still contains a lot of long, stringy material, a five or six tine fork will grab too much and may require too much strength. Spading forks with four wide-flat blades don’t work well for turning heaps, but en extremis I’d prefer one to a shovel. Also, there are shovels and then, there are shovels. Most gardeners know the difference between a spade and a shovel. They would not try to pick up and toss material with a spade designed only to work straight down and loosen soil. However, did you know that there are design differences in the shape of blade and angle of handle in shovels. The normal “combination” shovel is made for builders to move piles of sand or small gravel. However, use a combination shovel to scrape up loose, fine compost that a fork won’t hold and you’ll quickly have a sore back from bending over so far. Worse, the combination shovel has a decidedly curved blade that won’t scrape up very much with each stroke. A better choice is a flat-bladed, square-front shovel designed to lift loose, fine-textured materials from hard surfaces. However, even well-sharpened, these tend to stick when they bump into any obstacle. Best is an “irrigator’s shovel.” This is a lightweight tool looking like an ordinary combination shovel but with a flatter, blunter rounded blade attached to the handle at a much sharper angle, allowing the user to stand straighter when working. Sharp irrigator’s shovels are perfect for scooping up loosened soil and tossing it to one side, for making trenches or furrows in tilled earth and for scraping up the last bits of a compost heap being turned over. Once turned, my long-weathered pile heats up rapidly. It is not as hot as piles can cook, but it does steam on chilly mornings for a few weeks. By mid-June things have cooled. The rains have also ceased and the heap is getting dry. It has also sagged considerably. Once more I turn the pile, watering it down with a fine mist as I do so. This turning is much easier as the woody brassica stalks are nearly gone. The chunks that remain as visible entities are again put into the new pile’s center; most of the bigger and less-decomposed stuff comes from the outside of the old heap. Much of the material has become brown to black in color and its origins are not recognizable. The heap is now reduced to four feet high, five feet wide, and about six feet long. Again I cover it with a thin layer of soil and this time put a somewhat brittle, recycled sheet of clear plastic over it to hold in the moisture and increase the temperature. Again the pile briefly heats and then mellows through the summer. In September the heap is finished enough to use. It is about thirty inches high and has been reduced to less than one-eighth of its starting volume eighteen months ago. What compost I don’t spread during fall is protected with plastic from being leached by winter rainfall and will be used next spring. Elapsed time: 18-24 months from start to finish. Total effort: three turnings. Quality: very useful. Obviously my method is acceptable to me because the pile is not easily visible to the residents or neighbors. It also suits a lazy person. It is a very slow system, okay for someone who is not in a hurry to use their compost. But few of my readers live on really rural properties; hopefully, most of them are not as lazy as I am. At this point I could recommend alternative, improved methods for making compost much like cookbook recipes from which the reader could pick and choose. There could be a small backyard recipe, the fast recipe, the apartment recipe, the wintertime recipe, the making compost when you can’t make a pile recipes. Instead, I prefer to compliment your intelligence and first explore the principles behind composting. I believe that an understanding of basics will enable you to function as a self-determined individual and adapt existing methods, solve problems if they arise, or create something personal and uniquely correct for your situation.